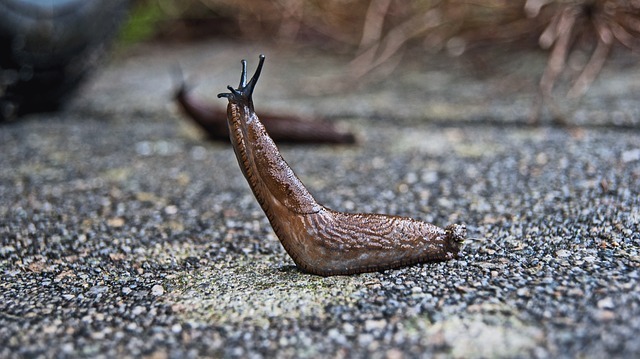 Slug mucus sticks well to wet tissues, which appeals to surgeons. David J. Mooney of Harvard University made a glue similar to slug snot, and "tested the adhesive on pig skin, liver, heart, and cartilage and found that it was stronger than both cyanoacrylate (superglue) and a surgical sealant called CoSeal," reports Chemical and Engineering News. Mooney and his colleagues came across a paper analyzing the material properties of mucus from a type of slug (Arion subfuscus). The sticky mucus has two components: polycations that help the mucus adhere to surfaces through electrostatic interactions and covalent bonding, and a tough matrix that absorbs and dissipates stress. This combination allows the slug to stick strongly to a surface by resisting forces—such as those from wind, rain, or the beak of a hungry bird—that could dislodge it. Most aquatic animals propel themselves with a tail or fluke, so roboticists have long been interested in the remarkable speeds possible by mimicking sea lion propulsion with front flippers.